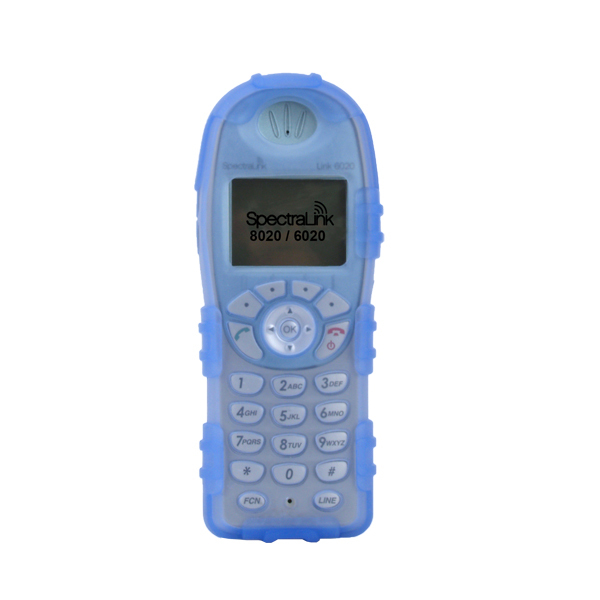 The Carrying Case Holster holds and protects the Spectralink NetLink 8020, 6020 Wireless IP Phone. The set includes a durable, plastic holster case with removable, rotating Metal Belt Clip and a Ruggedized Healthcare Grade Silicone Case. The Carrying Case Holster keeps the phone secure and guards the phone from damage due to impact, dirt, dust and bacteria. 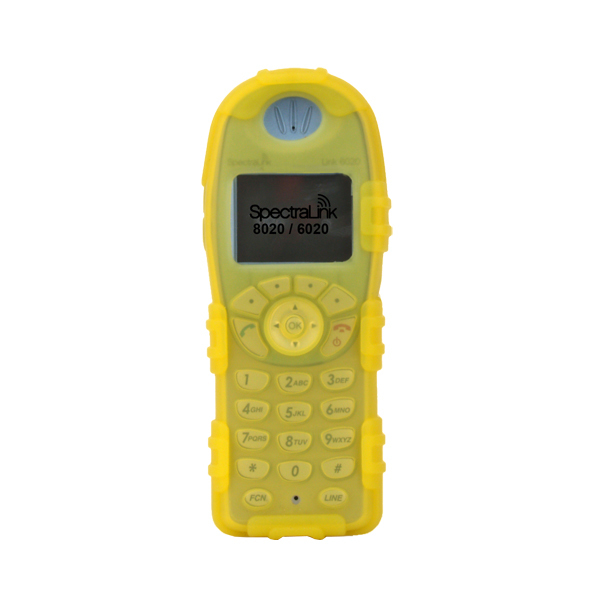 It provides maximum protection and hands-free portability. 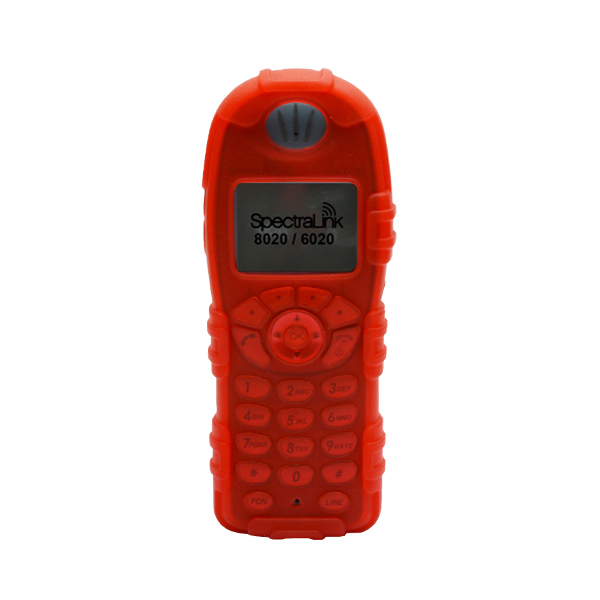 Designed for demanding environments including, industrial settings, fleet and fieldwork, and healthcare facilities. The Carrying Case Holster keeps the phone secure and guards the phone from damage due to impact, dirt, dust and bacteria. 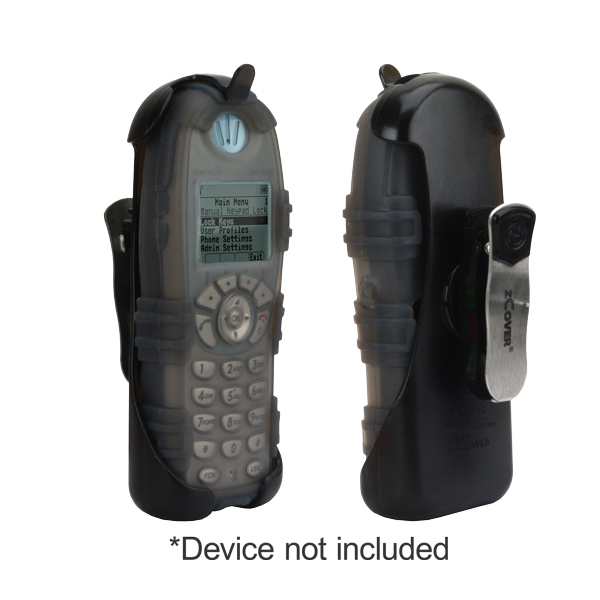 It provides maximum protection and hands-free portability. 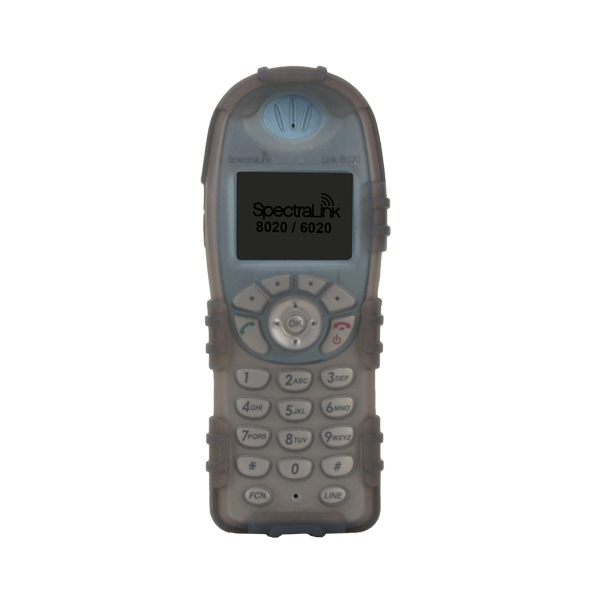 Designed for demanding environments including, industrial settings, fleet and fieldwork, and healthcare facilities. 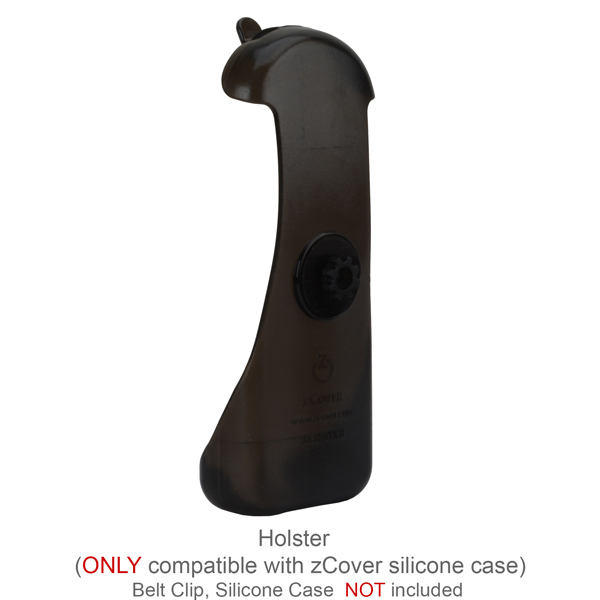 The Carrying Case Holster comes with zCover's rotatable, one-press release Metal Belt Clip. 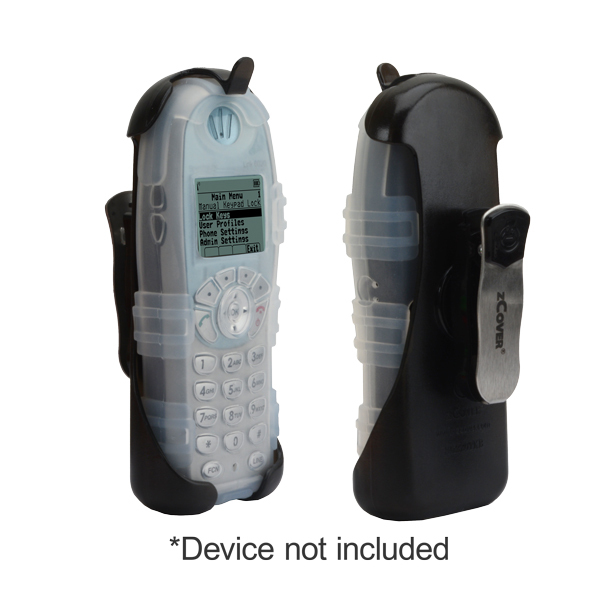 It rotates 360 degrees so the phone can be worn horizontally or vertically while attached to any belt.It is easy to remove the Carrying Case Holster from the Metal Belt Clip with the one-press release button. 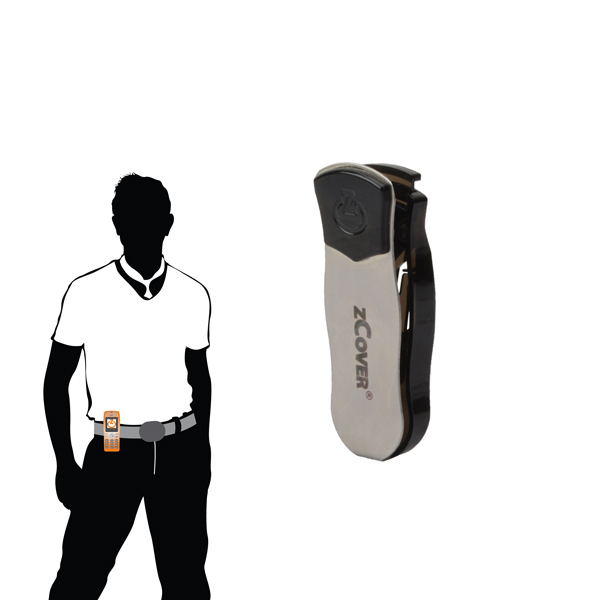 The Metal Belt Clip is made with first-run plastic and Metal and it has strong clamping power so it stays clipped on. A hook on the bottom of the clip prevents it from being pulled off the belt loop accidentally, so the phone stays securely attached. The Carrying Case Holster enhances the phone features. All control buttons are protected while still being totally accessible. The navigation wheel is beveled with a circular ridge that guides the thumb. 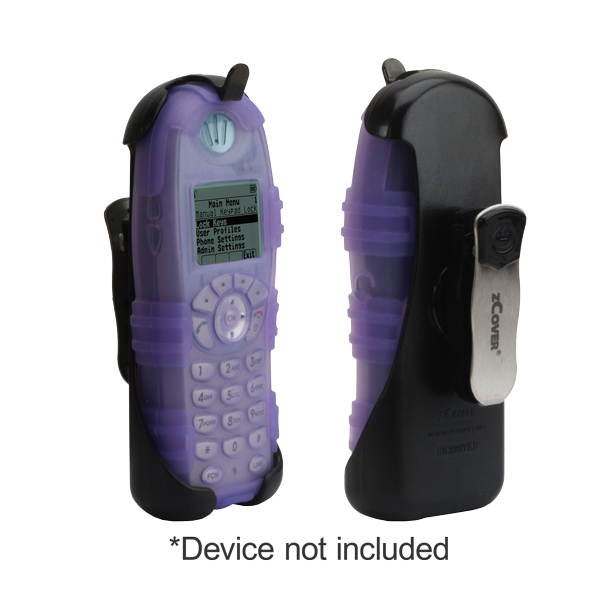 The case is molded to protect the controls with an ultra-thin, skin-touch silicone layer, making the buttons even more comfortable to use. 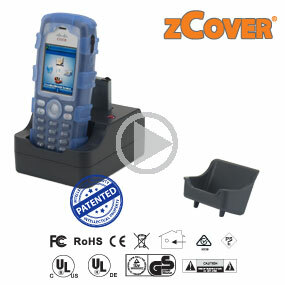 zCover Silicone rubber is FDA and ROHS complianted. 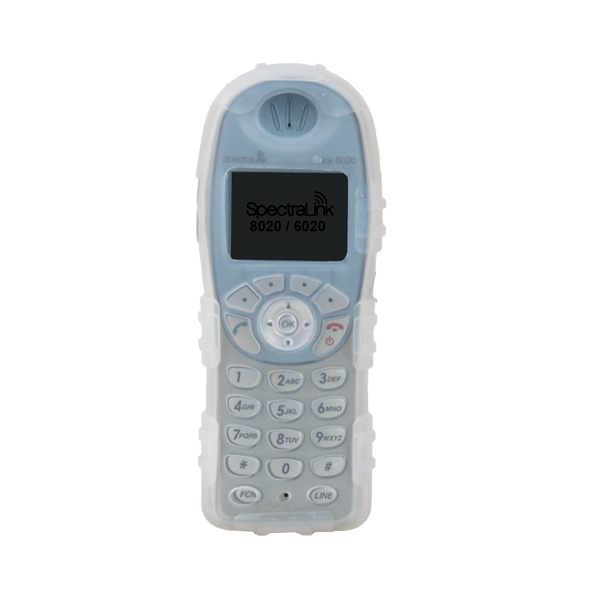 it is an excellent healthcare grade material for keeping handsets protected in all kinds of environments. 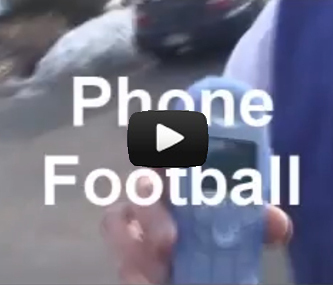 It withstands heat, cold, and UV. 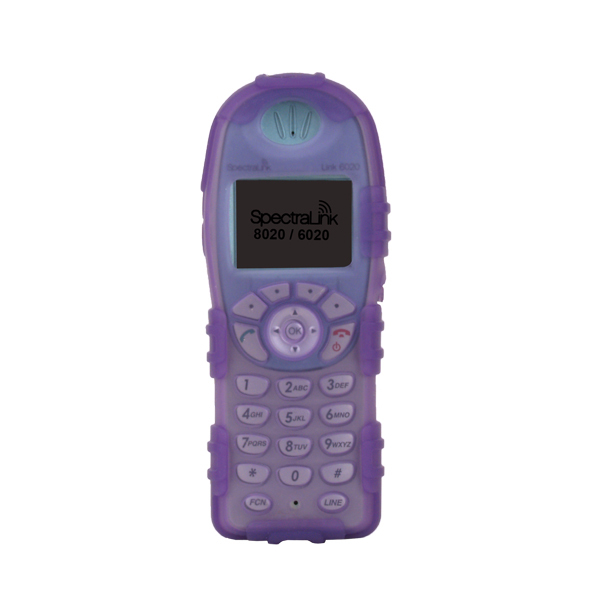 It is non-toxic, does not react with most chemicals or support microbial growth. zCover Silicone rubber retains its original shape even when stretched to its limit. 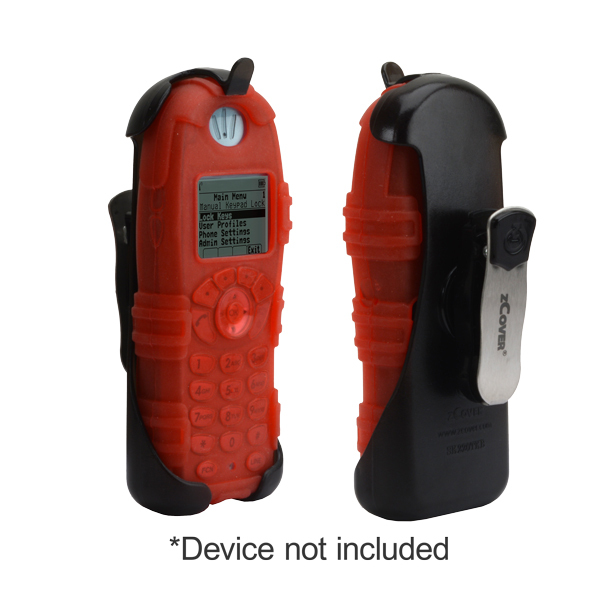 It is tear and puncture resistant and has a very long life. Because it is safe to wash or clean with germicidal wipes, it is recommended for shared phones, especially in healthcare settings Learn more about HealthCare grade silicone.